After another great year of collaboration with the invoko team, we would like to look back and pay homage to our roots-Unfolding Forms. Several years ago around this time when the ice was thick and the snow was deep, we set out to capture the unique perspectives of an age old tradition in the northern part of the midwest. 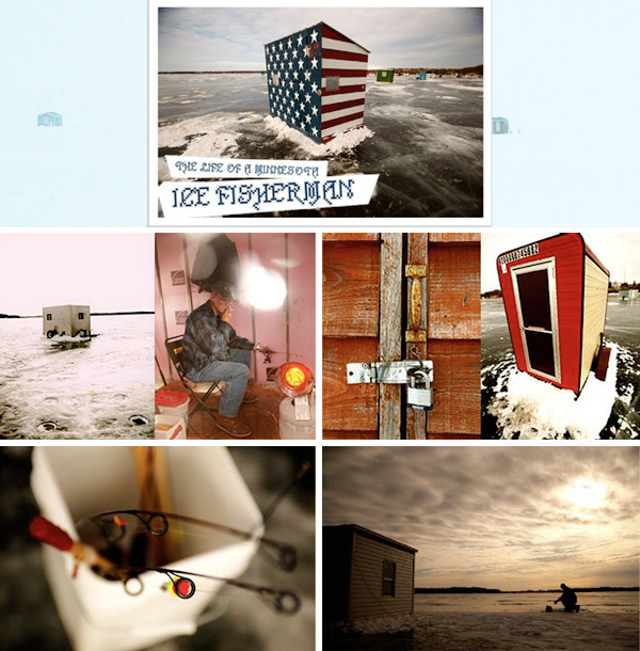 Our project, "The Life of a Minnesota Ice fisherman," combined the talents of Nathan Strandberg-EightHourDay; Dave Schroeder-Pilotvibe and myself to produce a multimedia piece that was fresh, interactive, and approachable in a slightly unconventional way. As the former name implies, our current collective is indeed a transition from the old and will hopefully continue to be an unfolding form as we are about to embark upon the new year. Here's to a past project, one that has been a cornerstone--opening doors to new people and places. Happy Holidays from all of us here at JCP. 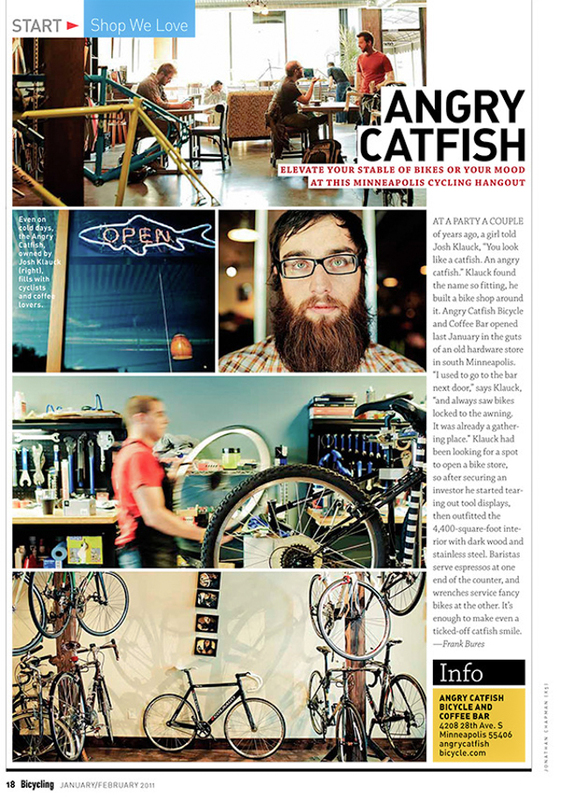 In terms of new combo bike shop / cafes opening up in the Minneapolis area, The Angry Catfish is definitely in the top tier. 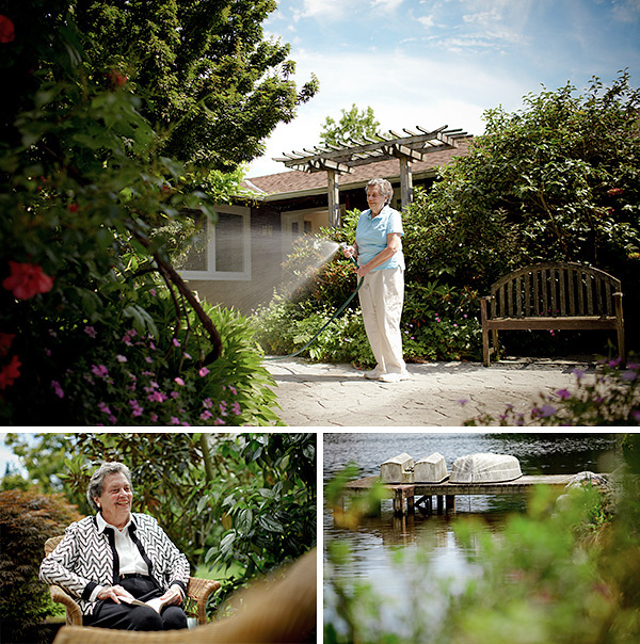 We had the opportunity to take a closer look through an assignment for Bicycling Magazine. Proprietor and bike enthusiast, Josh Klauck, gave us the grand tour and indulged us with a few stories about resurrecting the former abandoned space to its present state. The renovated space features three work bays for bike repair/maintenance, a retail area with a spotlight on local frame builders, and a full coffee bar with knowledgeable baristas serving up the finest brews from intelligentsia coffee roasters. It's a great space to grab a coffee, put a few bikes on the wish list and all the while soak up the good vibes. As the sun was coming up, we positioned our talent into place for the first phase of the boxing workout we had envisioned several weeks earlier. The morning air was cool and fresh as our boxer began his ritual; breaking down the silence with a speed driven whir of the rope as it met with the rhythmic taps of his feet on gravel. It was a great scene and a nice way to start capturing both the stills and video we set out for. 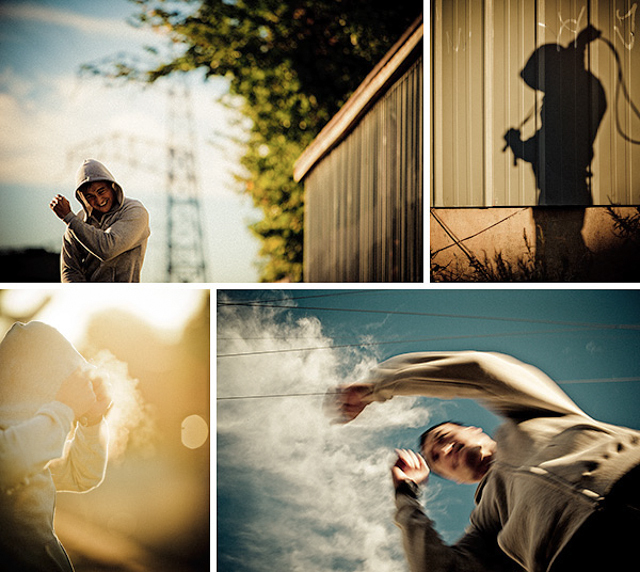 After this initial idea we moved on to another scene based on shadow boxing. The talent demonstrated various moves and then as we starting rolling video, put them all together to form a seamless moment of classic combinations. The scene was reminiscent of a Rocky Balboa type character training for an upcoming title bout. All we needed was the the old grizzled trainer pushing him to the next level with gravelly words of encouragement. Towards the end of our time with the boxer, we realized how fit he really was. There seemed to be an endless supply of energy and enthusiasm for whatever ideas we could throw at him. In conversation we found out his real daily workout consists of 3 hours of training each day to maintain his current level of fitness--now that's dedication. In the latter part of June we went on the road to Seattle, Washington shooting the first of three "Member Stories," for United Healthcare and AARP. Our subject on this first leg of travel was 81 year old Marilyn Ward, long-time social activist, appreciator of art, book lover, and world traveler. Marilyn proved to be nothing less than amazing, and gave us a real window into her life over the course of the two days we worked with her. We went through a process of capturing video, stills and audio for the final piece, featured above, which will live on a micro-site within the UHC / AARP web space. Through the collaboration and combined efforts of the Invoko team including: audio designer Dave Schroeder of Pilotvibe and Graphic Designer Nathan Strandberg of EightHourDay. This was the first of many projects we've worked on for United Healthcare / AARP that we spent more time focusing on video capture than gathering still images. The editing was put in the hands of Adam Duguay of Elemental Motion Media who has certainly become a regular part of this past year's motion based projects. A big thanks to Marilyn for all the time she spent and her patience with our multiple takes and our numerous "can you do that one more time," requests.